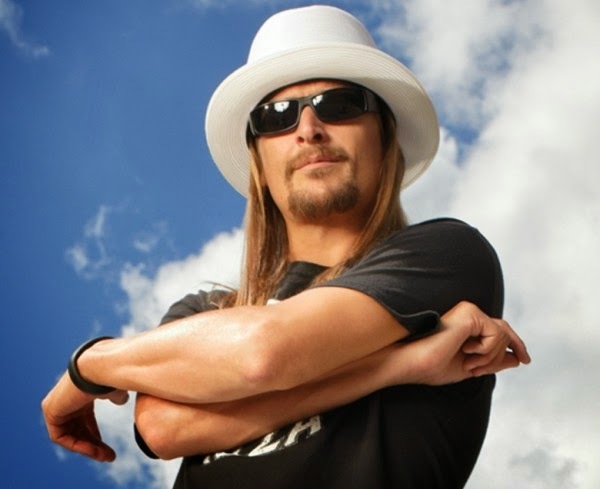 The tenth studio album of Kid Rock, which has been given the title of First Kiss, will have a release date of February 2015. The new set promises a sound that’s based mostly in the roots because the backing band of a greater part of the album was Band of Heathens. A member of Band of Heathens, Ed Jurdi, said that they connected with Kid Rock in the previous year as he was a fan of the band. He added that Kid Rock had invited them on his cruise for the past few years and then also requested that they open a few of his shows. Because they had fun hanging out and playing old tunes, Kid Rock invited them to do some recording in his studio outside Detroit. So, the band spent a week there during which they had a great time as friends and also made some music. Kid Rock liked the aesthetic of the Band of Heathens and wished to capture it for his own songs. Two versions of the new album will be released; there will be a standard version, which will contain FOAD, the bonus track. The second version is being called the ‘Amended’ version, which has a bonus track called Say Goodbye and is a clean take on the whole album.